Neck pain and sciatica seem like unrelated symptomatic expressions, since they are so far removed from one another anatomically. In some cases, there may be no relationship at all between these 2 coincidental expressions of suffering. However, in other instances, the 2 symptom sets may be sourced from the exact same causative process. This article will explore the often mysterious relationship between 2 of the most prevalent of all dorsalgia concerns; sciatica and neck pain. We will look at how these 2 pain syndromes might coexist without a common link, as well as why the expressions may also be tied to a single causative mechanism in the cervical spine. Neck pain is very common. Sciatica is also very commonplace. Both of these conditions are found in the general population in truly epidemic numbers. Meanwhile, both pain syndromes may be very difficult to resolve, so the chances of them overlapping in symptomatic timeframe are quite good. Sciatica is usually linked to injury or degenerative processes in the lumbar or lumbosacral spinal regions. Meanwhile, neck pain is linked structurally to the cervical spine. Being that both of these areas are literally plagued by injury and degeneration as part of their natural lifecycles, the chances of a person suffering sciatica and neck ache from 2 distinctive causative processes is very likely. Severe scoliosis might cause widespread pain in the worst affected patients. Some neck pain might exist and the incidence of sciatica in severe side-to-side spinal curvatures is high. Cervical spinal stenosis is the most common and logical single source of both symptoms. Cervical stenosis will compress the spinal cord in severe expressions, possibly enacting neurological symptoms anywhere below the affected vertebral region. Pain may exist around the actual impingement, but may also affect the torso, arms, legs or virtually any other bodily area. Some disease process might cause far ranging spinal issues, especially if they affect the spinal cord itself. Regional ischemia might target large areas of the body or multiple areas concurrently. The neck and the lower back, buttocks and legs are some of the most commonly reported sites for localized oxygen deprivation to take place. I hope that this article has helped you to better understand the complex relationship that may exist between these diverse symptomatic expressions. Combination neck pain syndromes are some of the most difficult to diagnose, and that is saying quite a lot. Remember to investigate all possible explanations for various anatomical symptoms and never simply write them off as being related or independent without definitive proof. Once of the surest ways to achieve an accurate diagnosis of combination neurological symptoms in multiple anatomical regions is to visit your spinal neurologist and have them study the condition in detail. Make sure to insist on all the testing you will need to come to a correct and accurate conclusion as to the source of both symptom sets before agreeing to any particular form of treatment. 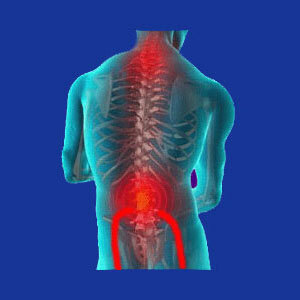 We examine to topic of sciatica in unrivaled detail on our website Sciatica-Pain.Org.